A medical clinic in Olds has been selected as a recipient of a prestigious award from the Alberta College of Family Physicians (ACFP). The 2018 Outstanding Family Practice award recognizes the efforts of the Wild Rose Medical Centre in creating a patient’s medical home, a model that makes patient-centred care priority one, and embraces continuity of care from cradle to grave. The clinic was full of cake and balloons in celebration when Terri Potter, executive director for ACFP, made the presentation. The award in my mind represents the hard work that we have all done to try and make sure that we are giving our patients as good a medical home as we possibly can. 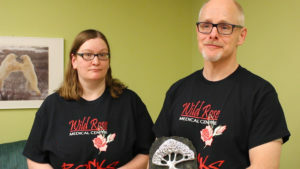 Wild Rose Medical Centre opened in 1994 with 3 physicians. Today, there are 18 doctors and a support staff of 20. “The award in my mind represents the hard work that we have all done to try and make sure that we are giving our patients as good a medical home as we possibly can,” says Dr. Martha Ingles, a family physician at the clinic for the past eight years. Also important in the Patient’s Medical Home model is for family physicians to integrate their care of patients with other parts of the health-care system, like the Primary Care Network. Dr. Steven Turner, one of the family physicians who started up the clinic, says it all adds up to a clinic that’s able to support its patients better than it ever did before. “It also supports our staff, and it also supports our physicians, so they see an environment where they can practise, and do the things they want to do, and have the support also to be able to get out and be with their family and do the things that are important for people as they move through their life,” Turner explains. We’ve gone from not being able to find physicians to being sought after. Physicians at the Wild Rose Medical Centre also discovered that practising the Patient’s Medical Home approach was good for physician attraction and retention. “Absolutely. I think a good medical home in a clinic supports attracting new physicians,” says Dr. Ingles. 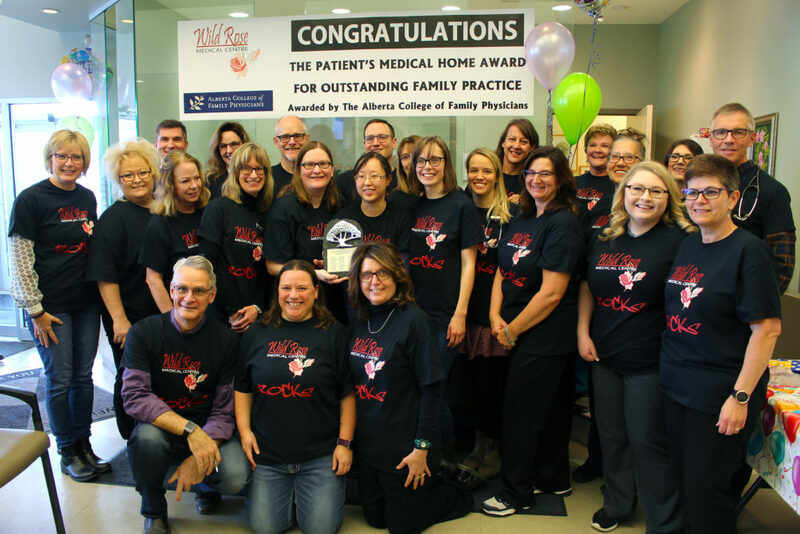 Congratulations to the Wild Rose Medical Centre, a 2018 recipient of the Alberta College of Family Physicians Patient’s Medical Home Award for outstanding patient care!